A Greek Summer Hit Fills A Generation With Hope Marina Satti's song "Mantissa" ("Seer") has resonated with a generation of young Greeks trying to stay optimistic after the country's debt crisis and austerity. Marina Satti and dancers rehearsing for the music video to "Mantissa," a "love song to yourself" that has become an anthem for young Greeks facing unemployment due to the debt crisis. Until last year, few Greeks had heard of Marina Satti. The architecture student-turned-classically-trained singer had performed in musicals and ancient Greek plays, but her music career was largely under the radar. She played what she calls "blender" music — a combination of jazz, funk and rock — with musician friends at home. "I grew up influenced by Björk and Moderat and the Berlin electronic scene," Satti says. "And then, while I was studying at the Berklee College of Music, I looked to my roots." Satti's father, a doctor, is from Sudan. Her mother, a chemical engineer, is from the Greek island of Crete. So she grew up biracial in a largely homogeneous Greece. "I was afraid that I would stick out, 'cause I'm a little darker in the skin," she says. "And sometimes, I remember myself being shy, and I remember I didn't want my dad to come and pick me up from the school." At Berklee, she immersed herself in traditional Arabic and Greek music and realized the treasure of her heritage. "What I loved about the States was that there, you can co-exist with something, someone, who is different than you," Satti says. "It's a state of mind I got into there that I carried back with me to Greece." When she returned home to Athens, she incorporated Greek and Arabic folk music into her jam sessions with friends. Then, one night last year, after a pasta dinner at her apartment, they recorded a cover of "Koupes," an old Greek rembetiko song, and uploaded it to YouTube. It went viral. "YouTube can be a fair playing field for artists," she says. "Your music is there, it's free; whoever wants to listen to it can, and whoever doesn't, that's fine, too. I'm happy it was someone's choice to listen to this song." So this summer, Satti offered an original song, "Mantissa" ("Seer"). She wrote the music and a friend wrote the lyrics. "The whole song is about a fortune teller, basically, but it has its roots in ancient mythology, like Pythia," Satti says. (In Greek mythology, Pythia is the high priestess of the Temple of Apollo in Delphi.) "Every verse is like an oracle: vague enough to be open for interpretation, like Pythia's predictions. So, to me, it is a love song — but I like the fact that it doesn't focus on the human pain; it's not about being self-absorbed or self-pitying." The chorus is about taking charge, about spreading your wings and flying through winds and storms to find what you need. "That's the story of my life," Satti says. "My dad had to come to Greece from Sudan to study and be who he is. And, me, I had to go to the States and embrace who I really am." "So," she says, "it's like a love song to yourself." 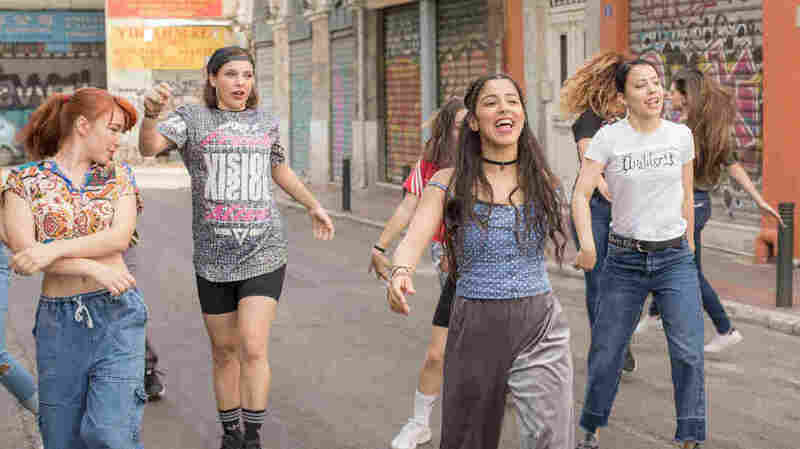 Mantissa was released along with a music video featuring Satti and a posse of girlfriends dancing, flash mob-style, down Athinas, a street in Athens that's seen better days. "It's one of my favorite streets," she says. "There are people from Pakistan and Arabs who live there and work there. There's a market or a bazaar. You can really see the Eastern influences, and then there's the graffiti — and, in this video, a bunch of girls in our jeans and our jumpsuits, dancing." The video received more than 5 million views on YouTube in just a week. Fans made tribute videos. A male comedian in drag filmed a parody of it. It also helped Satti, who describes herself as a D.I.Y. artist, get a deal with a record label in a country where the music industry, which hangs on to its aging stars, is hard to break into. She is signed to 314 Records. "Mantissa" is the song of the summer in Greece: one of the most downloaded tracks and always on the radio. I hear it everywhere — in cafes, in taxis, on my balcony as my neighbors sing along while putting their washing on clotheslines to dry. I meet a couple of thirtysomething statisticians dancing to "Mantissa" at a recent Satti concert at the gardens of the Athens Concert Hall. Savvas Giovanni and Giorgos Samaras sing the chorus so loudly they drown out the tweens next to them. "I'm trying to remember the dance steps from the video," Samaras says, hopping from side to side. "I'm a really good dancer." "I love this song," Giovanni says. "It puts me in such a good mood. It makes me forget my problems." "Mantissa" is a love song, but one that "doesn't focus on the human pain," Marina Satti says. "It's not about being self-absorbed or self-pitying." The song has especially resonated with young Greeks, who face a grim future as the economy has yet to recover from the debt crisis and austerity. "There are so many miserable people in my age, and that's so bad," says Melina Chronopoulou, a 21-year-old university student in French literature. She's also one of Satti's backup dancers, and performed in the "Mantissa" video. "It's hard for many of us to just get out and enjoy being young. Many times, I wish I had been born in a different generation just so I could experience real optimism." Chronopoulou says she appreciates "Mantissa" for its optimism. "Greek songs usually talk about being hurt, and being in love, but in a really negative way," she says, "like suffering, and there is no hope anywhere. Not this song. It's full of hope." 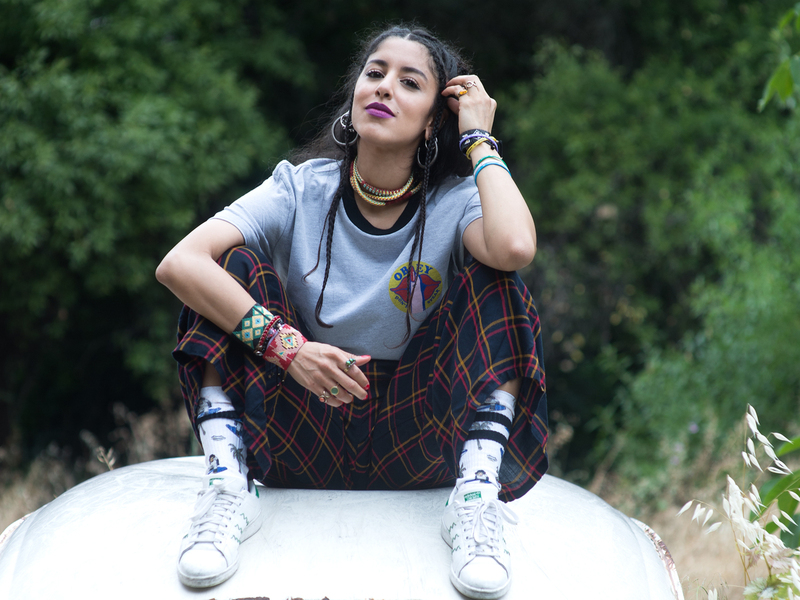 Satti smiles a little when she considers that her runaway hit has lifted the spirits of other young Greeks. "It's hard out there," she says, "but we are good at hope."